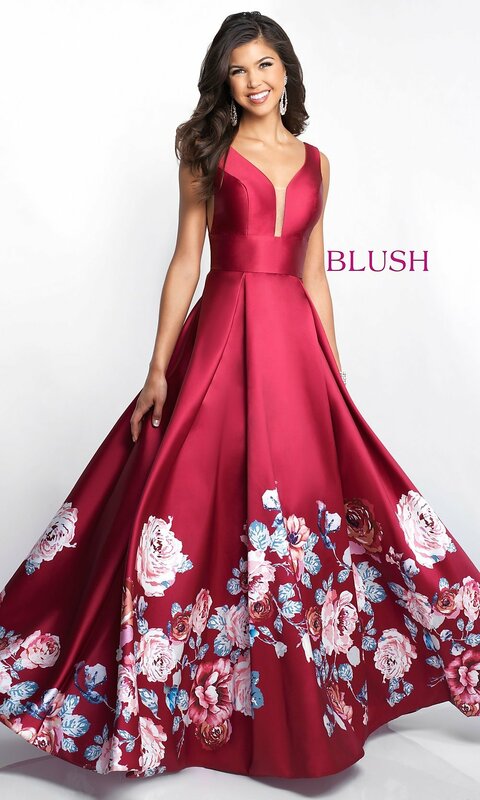 Unfortunately, the dress you are looking for (Style: BL-5661, Name: BL-5661) is no longer available. A vibrant floral print makes this long prom dress an eye-catching option for your formal event. 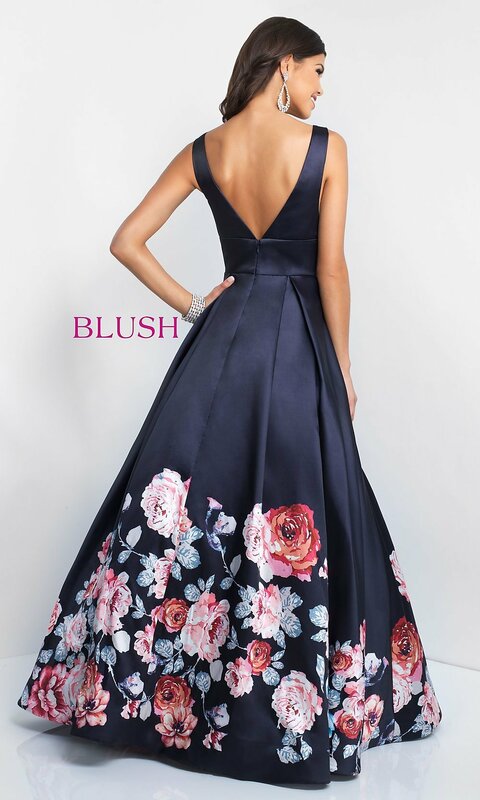 Gorgeous roses pop against the gleaming mikado fabric on the full and fabulous long a-line skirt with wide box pleats that add to the fullness. The fitted bodice has a plunging, deep v-neckline with a stabilizing sheer inset. Open sides and deep v-back add sultry touches to this lovely evening dress, while a wide band defines the natural waistline. 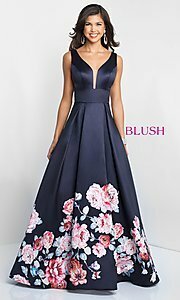 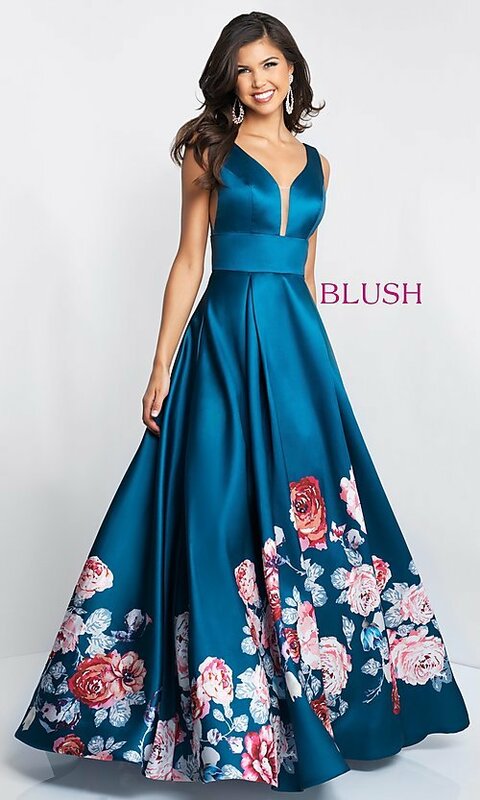 From the designers at Blush, this long prom dress with bold floral print is a delightful style that is sure to make you stand out at a fancy gala or a military ball.